It’s that time of year again! Time to make your list and check it twice and figure out who was nice enough to receive a gift from you this holiday season. Gift-giving is hard but we’re here to make it easy on you this year. If you have a friend or family member who’s a die hard paddleboarder or kayaker, or someone who just loves the great outdoors, we’ve compiled an essential list for some of the most wished-for paddling gear and accessories. Dive in and if you have more suggestions for great gifts for paddlers, we’d love to hear about them in the comments below! 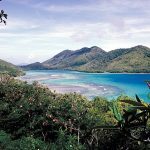 What self-respecting paddler doesn’t want to document every minute of their adventures with their waterproof Go Pro and upload it to YouTube? Otherwise, we get into a “pics or it didn’t happen” situation and that’s just unacceptable. Fortunately, Black Pro has come out with the ultimate Go Pro sports accessories kit that allows you to have fun with your Go Pro Hero 5 (and Session 1-5) in every way possible. Using their gear, you can strap your Go Pro to your chest, head, wrist, or board. Mount it to the selfie stick for group or high angle photos or put it on the bobber so you can record your adventures from water level. 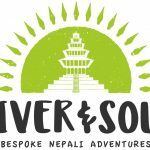 This is the ultimate package for anyone who likes to record their outdoor adventures for social media or personal mementos. Buying a kayak is a big investment. Sometimes shelling out several hundred dollars on a kayak is all the money someone can spend so they go cheap on the accessories, like a decent paddle. A good quality paddle can enhance the paddling experience immensely. Just a few ounces lighter in weight can make a huge difference for the back and shoulders. 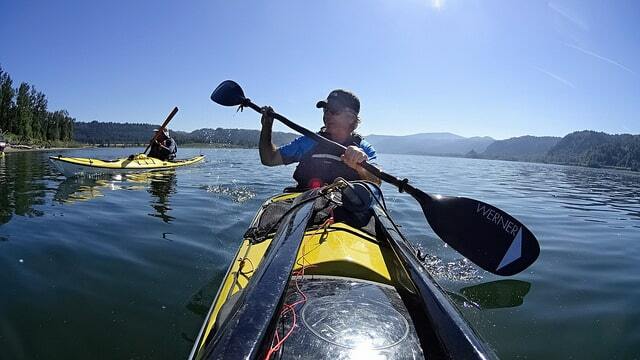 The Werner Skagit is not only lightweight, it offers an adjustable angle blade to help in varying paddle conditions. The Werner Skagit is touted as one of their best value paddles offering great versatility at a very attractive price. Let the paddler in your life “Paddle On!” with a top quality Werner paddle. What’s more fun than being able to venture out into the darkness for a moonlit paddle? But what if the moon doesn’t cooperate? Thankfully, Northern Lights has solved that problem with their underwater LED lights. Illuminate the waterway as you paddle along and maybe even get a glimpse of some of the aquatic creatures accompanying you on your paddle. These lights have multicolor settings and are fully removable. Additionally, these lights are equipped with their own “life jackets”. In the unlikely event they come off, they’ll float on the surface instead of lighting the way to the bottom of the water never to be seen again. A great gift idea to light the way for the night owls in your life! SUPs and kayaks are great for recreation and exercise but unfortunately they take up a lot of room. Give the paddler in your life the gift of more space with the Suspenz Kayak and SUP Rack. Easily mount the rack inside or outside of a garage or storage shed where kayaks and paddle boards can be safely stored off the ground and out of the way. A powder coated finish allows it to be used indoors or out. A 100-pound weight limit means it will safely hold almost any brand of kayak or SUP. Don’t leave the paddler in your life hanging! Get them a Suspenz Kayak and SUP Rack so they can hang their gear up and out of the way. Newsflash from Captain Obvious: Paddling is a wet activity, which means your things are likely to get wet. Help prevent your things from getting wet with a light, versatile dry bag that you can stow in your hatch or under the bungee netting on your kayak or paddle board. The Unigear Dry Bag Sack comes in multiple sizes for transporting items big and small. They also throw in a complimentary touch-friendly phone bag. It’s also perfect for storing credit cards, wallets, or other important documents. Make paddling less wet with a Unigear Dry Bag Sack. What’s better than taking your best friend with you for a paddle? With the Outward Hound Dog Life Jacket, you can paddle with peace of mind knowing that Cujo will be safe in the event of an unexpected swim. Multiple sizes ensure a fit for dogs large and small. This doggy life jacket features not one but two handles to pull from to make lifting your dog out of the water even easier. Best of all is the front float support that will keep your dog’s head out of the water while they are swimming. Taking your dog out with you is way more peaceful than paddling with another human. At least a dog won’t whine that you’re going too fast or too slow or complain that it’s too far. Nope, just you, your dog, and peace of mind with the Outward Hound Dog Life Jacket. Chances are you know someone who LOVES to fish (don’t we all?). These flush mount fishing rod holders are PERFECT for the kayaker who loves to fish but can’t afford to upgrade to the fishing kayak they’ve always wanted. Just install these in your sit in or sit on top kayak, insert your rods, and BOOM! Kayak Angler Status: Achieved. The 30-degree angle ensures a more natural angle for inserting and extracting the rod when you’ve got a fish on. Installation is quick and easy. 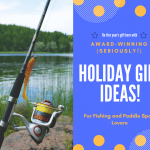 Delight the aspiring kayak angler in your life with this ideal gift! Kayaks can be heavy but that shouldn’t deter you from getting out on the water. The Suspenz Smart Airless kayak cart will allow you to effortlessly transport your kayak from the car to the launch point. Airless tires mean that you’ll never have to worry about flat tires making it hard to push the cart around. The cart holds up to 150 pounds but folds down small enough to fit into a mesh carry bag that you can store in your kayak. Make transporting your kayak a breeze with the Suspenz Smart Airless cart! A common question among novice and experienced paddlers alike is “What shoes should I wear paddling?” Wonder no more with the NeoSport Low Top Booties. Made out of neoprene to ensure dryness and warmth, these boots are perfect for kayaking but versatile enough to be used with any number of water sports. They are great for paddlers who experience cold water and need warm foot protection as well as for paddlers who have to traverse rocky beaches or river bottoms. Puncture resistant soles and easy on/off pull tabs make the NeoSport Paddle Low Top Boots a superb choice for paddlers in search of happy feet. A stand up paddle board is supposed to be a mobile water toy that you use to get from one place to the other, but sometimes you just want just want to stay put for a moment or two to enjoy the scenery, cast a line, or practice your downward dog. 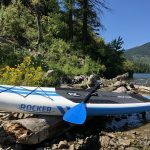 The Airhead SUP Anchor Kit is a fabulous little anchor that will secure your paddle board to one spot while you focus on enjoying the moment. Perfect for SUP yoga, paddle board fishing, or just laying out and working on your tan. The Airhead anchor kit comes with a nylon storage bag and D-ring for easy storage on any paddle board. Don’t get swept away, stay put with the Airhead SUP Anchor kit! Find These Great Gifts and More at Amazon! And there you have it! Ten killer gift ideas for the paddler or outdoor adventurer in your life. 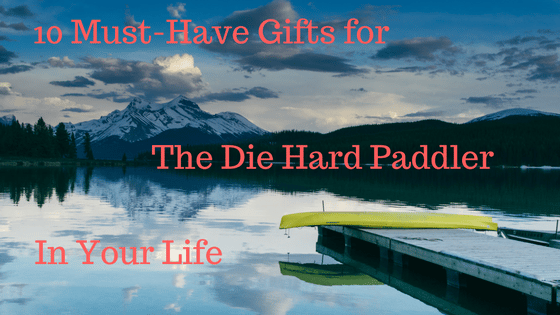 Have other gift ideas for paddlers this season? Let us know in the comments below!